1. "Sleep On, Dream On"
1. "Takin' You Higher (Just Like Climbing A Ladder)"
Rare funk and soul connoisseurs Athens Of The North uncover four gems from one of the most interesting men in funk history. 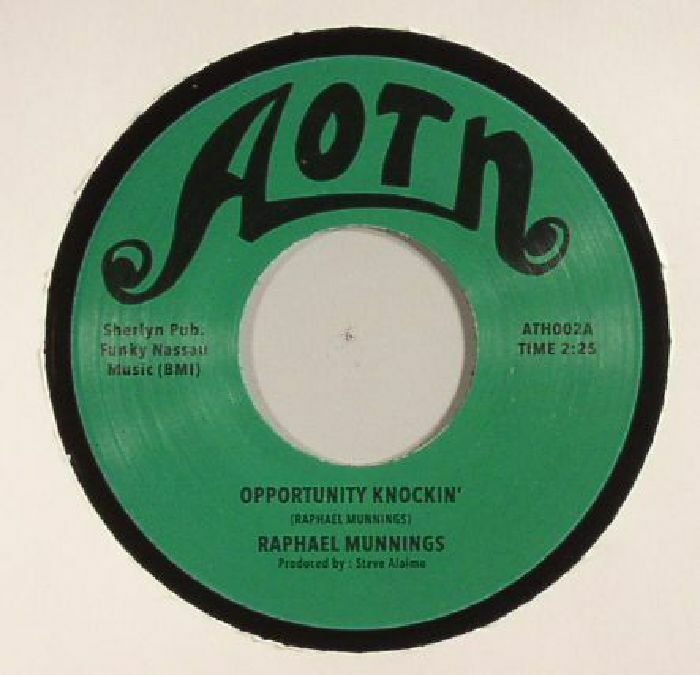 The man behind "Funky Nassau", Raphael Munnings really should have had a much bigger career than he did. Fortunately AOTN have recovered these four near-misses to ensure they're big hits for us... From the warm horns and Bahaman lilt of "Opportunity Knocking" to the organ and guitar heavy "Sleep On, Dream On" (think Booker T meets Hendrix) via the Gaye-style funk soul vibrancy of "Takin You Higher" this is a very special selection that pays respect to an unsung hero.